cformula1 wrote: "No. Too expensive." Oh, are you sure ? Piquet qualified on pole. Yes, you read that right. If that was in Zimbabwean dollars we'd be laughing, its only about 10p in British currency. 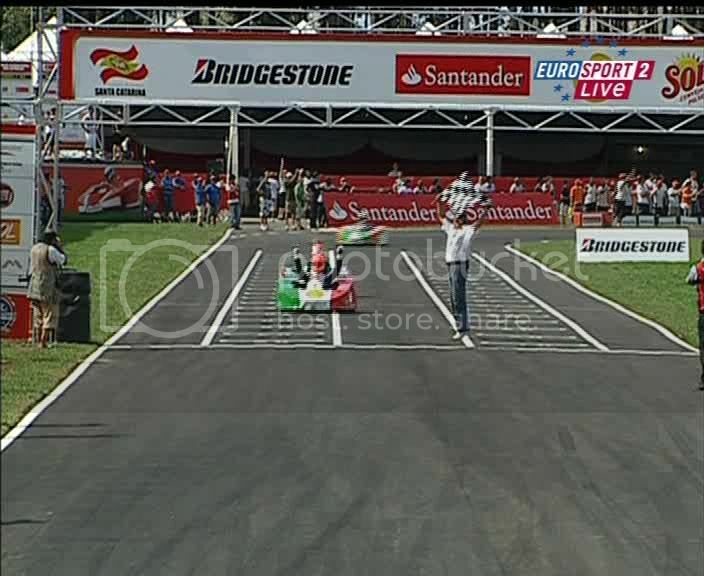 Schumacher is so slow, isn´t he Joost? Bring on Hamilton, Michael would still teach him a lesson or two. Glad to see Felipe in 2nd, should be good for his confidence approaching 2010. Christijan 'Oh no the fuel hose is on' Albers will compete in the 4th season of the Dutch/Belgian reality TV program '71° Noord'. In this game, 14 famous participants will make an excursion in Norway. The Travel has been divided in 12 different stages, at these stages the candidates must do a lot of difficult test. If the famous person fails to complete the stage, he must quit the challenge. The person who reaches the North cape first, wins the game and €50,000. Hmm, I feel a kart is a rather different proposition to a Formula One car. Not saying he's bad, but he has got the iffy neck and hasn't driver in anger since 2006. Felipe Massa had to wait until this afternoon for his very special Christmas present. The Brazilian driver wanted to get back behind the wheel of a Formula 1 single-seater before the end of the year and took the opportunity of his visit to Maranello for the traditional Christmas events over the weekend to accomplish his desire. The opportunity was supported by Ferrari’s Corse Clienti department, which provided Felipe with a F2007, the car, which won the Drivers’ and Constructors’ Titles two years ago, fitted with exposition tyres for the occasion. The weather conditions at the “Autodromo del Mugello” enabled the Brazilian driver to go onto the track only in the afternoon. In fact Felipe will also be in Mugello on Wednesday before he goes back to Brazil, where the little Felipinho and mother Raffaela are waiting for him.